When you visit Columbus, it will be clear right away that this city is serious about the arts. What you may not know is that there are lots of opportunities to engage with art for even the youngest visitors. Here are a few ways to spark some creativity in kids. The Columbus Museum of Art has a sunny new modern art wing, full of fanciful mirrored sculptures, colorful paintings and interactive projections. But best of all, the museum&apos;s Wonder Room is an area full of real art that&apos;s just for kids. Families can build sculptures of their own, that relate to the works on display, and there&apos;s a huge indoor tree house for the times when you just need a break. Open Studio, offered every Saturday from 1-3 p.m. has all the art supplies you can imagine. Kids and adults can create art in many media based on a theme for each day. Interactive stations throughout the museum&apos;s galleries also offer chances for kids to build with Lego blocks, create sand sculptures and share their reactions to artworks. 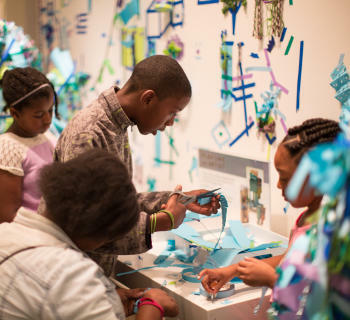 Admission for kids five and younger is free, and the museum is free for all on Sundays. Throughout the city, and especially downtown, statues, murals and other works of art provide unique places to play and relax. 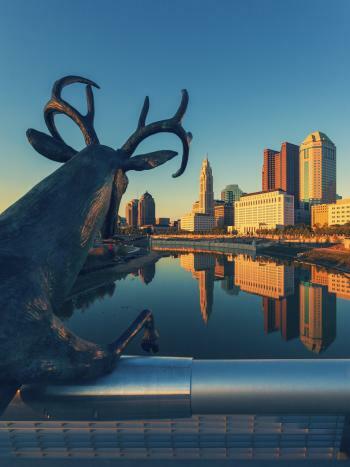 Kids can spot classic paintings reinterpreted as murals in the popular Short North Arts District, or pose with life-sized anthropomorphic deer along the Scioto Mile. Statuary inside and outside the Ohio Statehouse offers opportunities for historical discovery. Columbus has a rich heritage of cartooning that continues to today. The world&apos;s epicenter for this art form can be found at the Billy Ireland Cartoon Museum on the campus of Ohio State University. This recently opened museum hosts three galleries of cartoon and comic strip exhibitions, which can range from the early days of the medium to popular modern artists. The museum has free admission and is open Tuesdays-Sundays from 1-5 p.m. 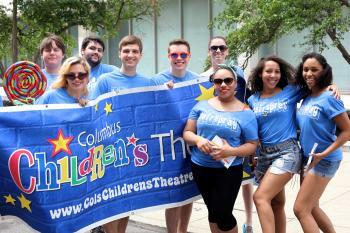 The Columbus Children&apos;s Theatre puts on shows in professional theaters just for kids all year round, with talent from Columbus&apos; own kids. The BalletMet and the Columbus Symphony offer outstanding performances for budding dancers and musicians. Columbus&apos; huge roster of events and festivals is a great way to add some art to your kid&apos;s visit. Festival Latino, the Columbus Greek Festival and the Asian Festival offer cultural music and dance from across the globe. The Columbus Arts Festival offers a great opportunity to see visual art from around the country, and also experience it through music, poetry and other performances. 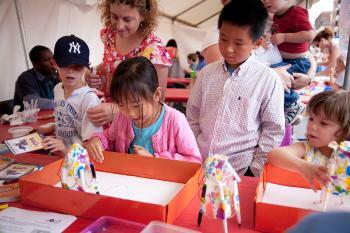 Families can even participate in glass bead sculpting, origami folding, kite-making, performing in a fairy tale and more.